Belief and Politics in Enlightenment France brings together top scholars in French history to explore how religious belief shaped identities and experiences in the long eighteenth century. 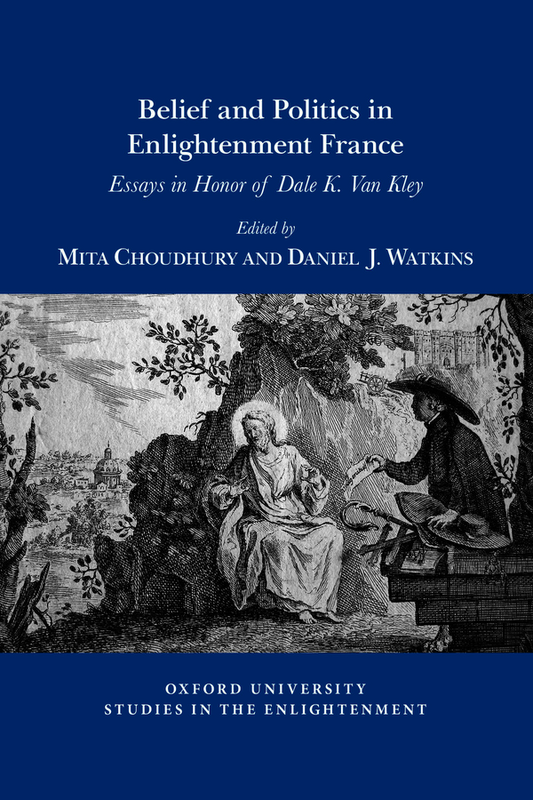 Written in honor of Dale K. Van Kley, a pioneer in the history of religion and French politics, these essays illustrate how belief, Enlightenment, and Revolution coexisted and co-mingled in Old Regime and Revolutionary France. Offers innovative methodological approaches to the study of religious faith beyond theology and institutions. Through the range of sources and multiple approaches, illustrates how religious belief could be unpredictable, showing up in unlikely places, informing unlikely debates, and instituting unlikely changes. Provides a fresh perspective on how scholars study religion, not simply as a reflection of a larger reality, but ideas and sensibilities closely connected with other social, political, gendered, or ethnic identities. Mita Choudhury is professor of History at Vassar College. Her publications have focused on eighteenth-century French politics, religion, and gender. Daniel J. Watkins is assistant professor of History at Baylor University. His research focuses on the cultural and intellectual history of eighteenth-century France and the Catholic Church. The Oxford University Studies in the Enlightenment series, previously known as SVEC (Studies on Voltaire and the Eighteenth Century), has published over 500 peer-reviewed scholarly volumes since 1955 as part of the Voltaire Foundation at the University of Oxford. International in focus, Oxford University Studies in the Enlightenment volumes cover wide-ranging aspects of the eighteenth century and the Enlightenment, from gender studies to political theory, and from economics to visual arts and music, and are published in English or French.